The Pakistan Super League will see another marquee name join the T20 competition, with AB de Villiers set to play next year. The announcement, which the PSL's official social media pages had been hinting at for a few days, was today officially confirmed after the league's Twitter page said "the GOAT from South Africa is now a part of PSL! 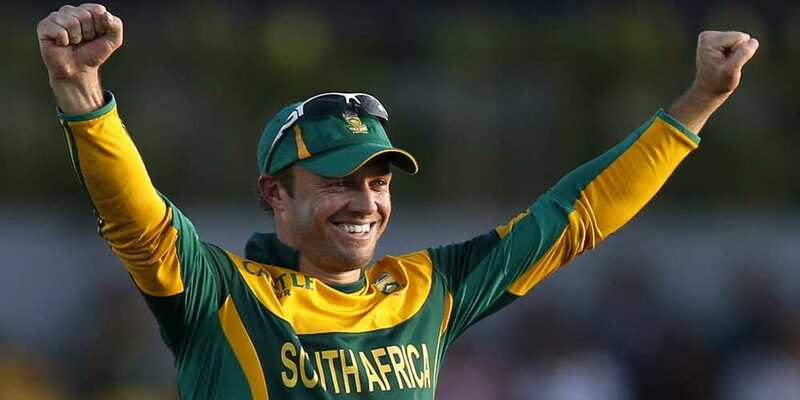 A warm welcome to AB de Villiers." De Villiers confirmed his participation with a video tweet. Securing the services of de Villiers, who retired from all international cricket in May, is something of a coup for the PSL, particularly since the 34-year old South African said he would only make himself available for the Titans, his home franchise. In recent years, he had limited himself to playing in only one overseas T20 league, the Indian Premier League, where he plays for Royal Challengers Bangalore. That he agreed to participate in the PSL represents a major change of heart, given he said in his retirement statement that he had quit the game because he was tired. "It's not about earning more somewhere else, it's about running out of gas and feeling it's the right time to move on," he had said. Given the reverence in which de Villiers' ability is held around the world, it is almost inconceivable he wouldn't be the first pick for any franchise in the draft. That means he will invariably be snapped up by Lahore Qalandars, who get the first pick by dint of finishing bottom of the league last year. Qalandars, who have finished bottom of the league in each of the previous three PSL seasons, recently used their first picks to sign high-profile players such as Chris Lynn, Brendon McCullum and Chris Gayle. They are also expected to appoint de Villiers captain of the side, with McCullum unlikely to participate in the PSL this year. De Villiers has played no cricket since the end of the IPL in May, but is expected to play for the Titans in South Africa over the winter. He retired with 25 ODI hundreds, 22 Test hundreds, and averages above 50 in both formats. He also holds the record for the fastest ODI fifty, hundred and 150, and was the second-highest run-scorer for South Africa in ODIs, behind only Jacques Kallis, and the fourth-highest in Tests, with only Kallis, Graeme Smith and Hashim Amla ahead of him.